The main pest control problems in this area are termites, spiders, cockroaches, ants, rats, mice and possums. Bed bugs have had an increased presence in the past 5-10 years. 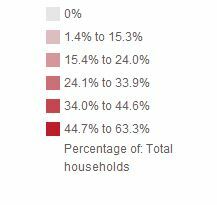 This is thought to be a result of more frequent air travel due to flights becoming more and more affordable. All of these pests can be either a severe threat to your home and family as well as resulting in significant inconvenience if not treated. And the best way to prevent your home from becoming infested with any of these pests is to have regular Pest Inspections conducted, this ensures that you’re always in control of your home and know whether there are any pests setting up shack during winter! 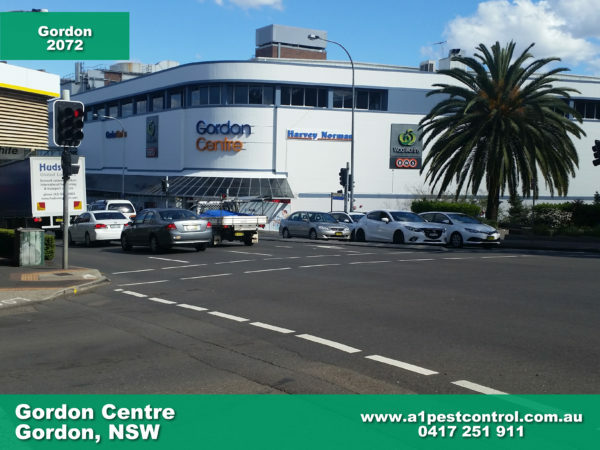 Call us on 0417 251 911 and we can book you in for a Pest Inspection, Pre-Purchase Property Inspection, Pest and Building Inspection or a Termite Inspection (Visual or Thermal). Photo of the Gordon Centre from the Pacific Highway. Main shops include Australia Post Shop, Bakers Delight, BWS, Flight Centre, Gloria Jean’s Coffees, Medical Practice, Harvey Norman, OPSM, St George Bank and Woolworths. Spring and Summer times are the seasons during which vermin such as cockroaches, ants, spiders rats and mice are most prolific. Termites are also active within residential homes as well as commercial properties. We have developed well tested and reliable pest inspection strategies using safe, low toxic options. Don’t hesitate to contact us if you want to get rid of any unwanted pests by this Summer! The termite problems have escalated in these areas because of homes being built nearby to bush-land, the older homes being more at risk. 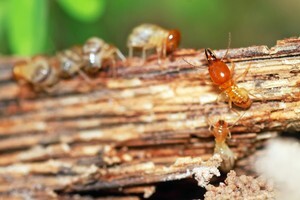 Termite inspections are recommended every 3-6 months due to the perceived higher risk of attack. There are 3 main pests currently threatening this area; Ticks, Termites and Fleas. These three pests flourish in the conditions offered in the north shore area and as such we often get panicked calls from families that find themselves with a paralysis tick infestation or worried homeowners that find termites chewing away at their property! In these situations the best option is to get professional pest management at your earliest convenience, ticks and termites are pests that you don’t want to run rampant around your family and pets. We offer discounts on combined Termite Inspections and Tick Treatments and can organize last minute or urgent appointments if necessary. Give us a call today and we’ll make sure to get those pests out of your life! Environmentally Safe Service For You and Your Family. Are you looking for Pest Control? North Shore has been our service area for over 30 years. We are a family owned firm and have survived in business by giving all of our customers what they are looking for, a reliable, trustworthy service at a reasonable price. We have been successfully treating Bed Bugs, Bee Removal, Termites, Spiders, Cockroaches and Ants, all with low toxic treatments. Here are some handy phone numbers of local councils in the area. Sydney’s Northern Shores are very well known as a wealthy area of suburban properties of northern Sydney, in the state of NSW, Australia. This term usually relates to the suburbs located on Sydney’s north shore of the Sydney Harbour between Middle Harbour & Lane Cove River, right up to North of the border of Ku-ring-gai LGA. This term has often been incorrectly used to relate to suburbs west of the Ryde Bridge, but this wider area encompasses what is also known as the Northern Suburbs. The “Upper North Shore” commonly relates to the northern suburbs of Chatswood, east of the Lane cove river and south of the uppermost border of the Ku-ring-gai council area. It is made up of the suburbs encompassing the Ku-ring-gai council. The area is well known for its leafy streets, prestige homes and commands very high property prices. This region reaches over 80 sq kms in area in the northern shore of Sydney Harbour from the Lane cove River to Middle Head. 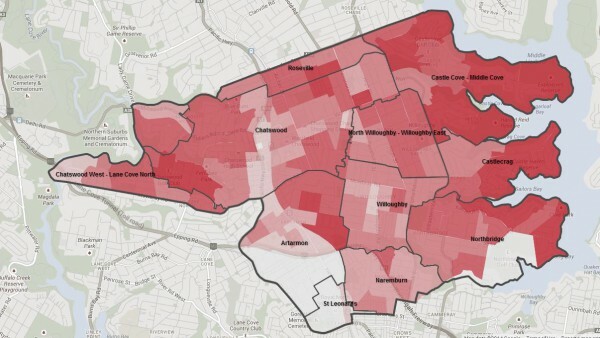 It includes Mosman, Kirribilli and Longueville. This area usually relates to the following suburbs: Cammeray, Cremorne, Lavender Bay, Milsons Point, Mosman, Neutral Bay, North Sydney, and Waverton. It’s adjacent to Sydney’s Middle Harbour. It includes the LGAs of the North Sydney Council, Municipality of Mosman, City of Willoughby, and the Municipality of Lane Cove. Woolwich, Milsons Point, Artarmon, Middle Cove, Wollstonecraft, McMahons Point, Cammeray, Kirribilli, Longueville, Willoughby North, Castle Cove, Willoughby, Linley Point, Castlecrag, Waverton, Lavender Bay, Chatswood, St Leonards, Lane Cove West, Chatswood West, Lane Cove, Riverview, Cremorne, Northwood, Cremorne Point, Northbridge, Crows Nest, North Ryde, Gladesville, North Sydney, Greenwich, Neutral Bay, Hunters Hill, Killarney Heights, Naremburn, and Mosman.